We have made it easy to order custom terminated balanced interconnect for your audio system or home theatre. Custom cables can be ordered in the lengths you need in just a few clicks. Neotech NEMOI-3220 This interconnect cable combines PTFE insulation and pure OCC copper conductors with a rectangular cross section has a particular architecture allowing a strong reduction in the inductance and capacitance effect. If you are looking for a high resolution cable, the Neotech NEMOI 3220 is an excellent choice. (1) 3 ft Neotech NEMOI-3220 Deep Cryo Treated Balanced Interconnect, terminated with Deep Cryo Treated Neutrik NC3FXX-B and NC3MXX-B connectors with black bushings. The price will adjust automatically when you choose a different length. PLEASE NOTE: the base price is for 1 cable, if you need a stereo pair (or more) change the quantity to the number required. You can order as many cables as you need, in different lengths and terminations by hitting the "order" button after selecting each cable. 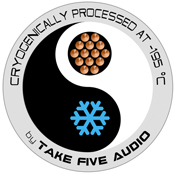 The Deep Cryo Treated Neutrik NC3FXX-B and NC3MXX-B are high quality black body connectors with Gold plated contacts. Solder termination is done using a precision OK International MFR Cartridge System and Mundorf Silver/Gold solder.